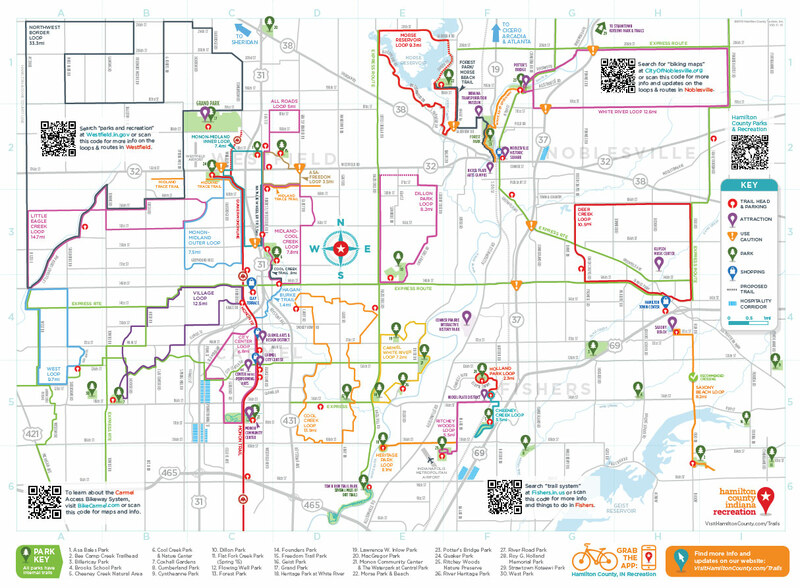 Get on yer bikes and ride! 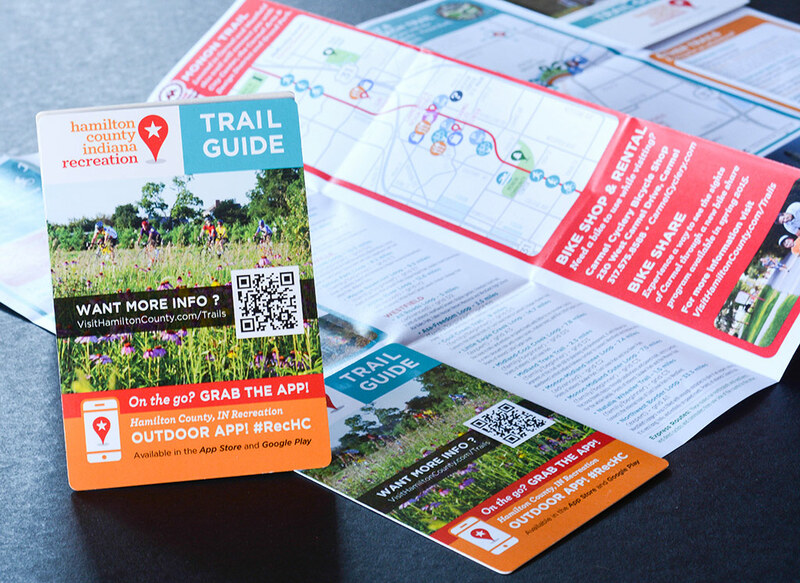 We enjoyed designing this pocket-sized Trail Guide with Visit Hamilton County, which features trails and loops in Hamilton County, Indiana (Fishers, Westfield, Carmel and Noblesville). 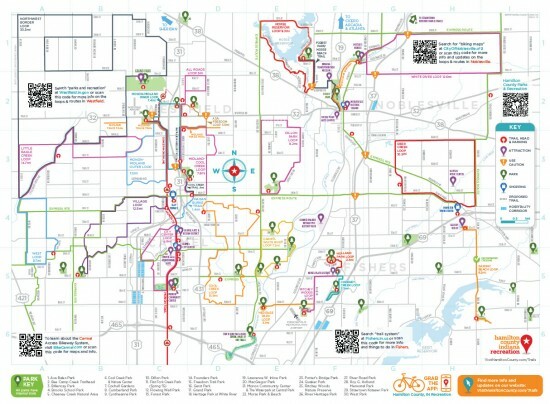 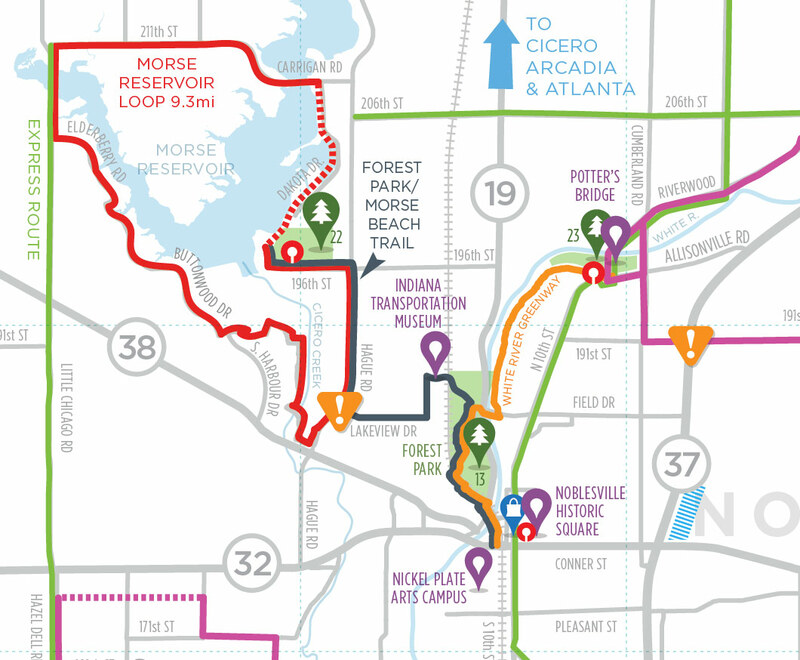 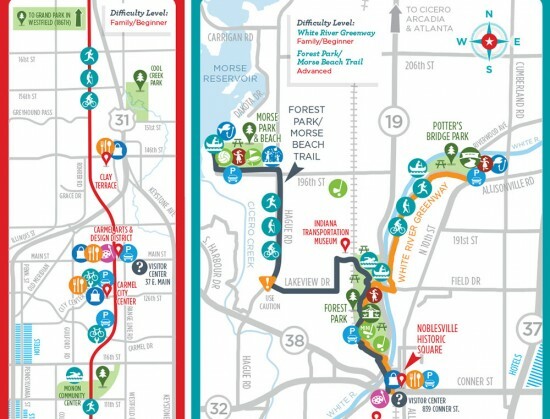 You can find listings of fun outdoor activities, parks, shopping and more, all packed into this handy illustrated trail map. 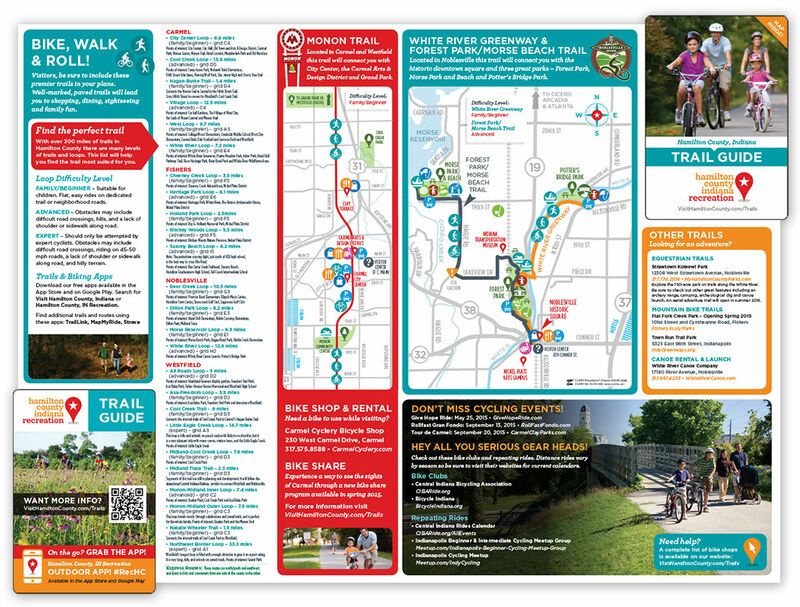 We enjoy incorporating illustration into these kinds of resourceful marketing materials and tourism map design!